What says Jazz Fest to you right after the music? The food! And besides the smoked turkey wings and gumbo what says it the most? Crawfish Monica. So if you can’t make it to the food tent consider your kitchen your very own tent and make it like this. 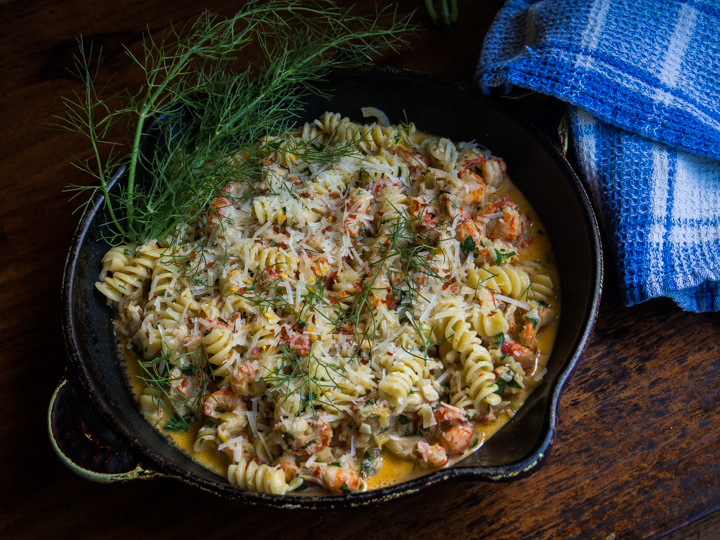 Invented on a whim by chef Pierre Hilzim and named after his wife Monica, Crawfish Monica was born in the 80s and is now served at Jazz Fest and available to order from their company Kajun Kettle. I also did a version with leeks instead of green onions but the taste wasn’t different enough to warrant the trouble and expense of the leeks so it was back to green onions. The only other variation was the use of lemon juice only instead of wine and lemon juice. If you have wine by all means use it but the lemon serves well. 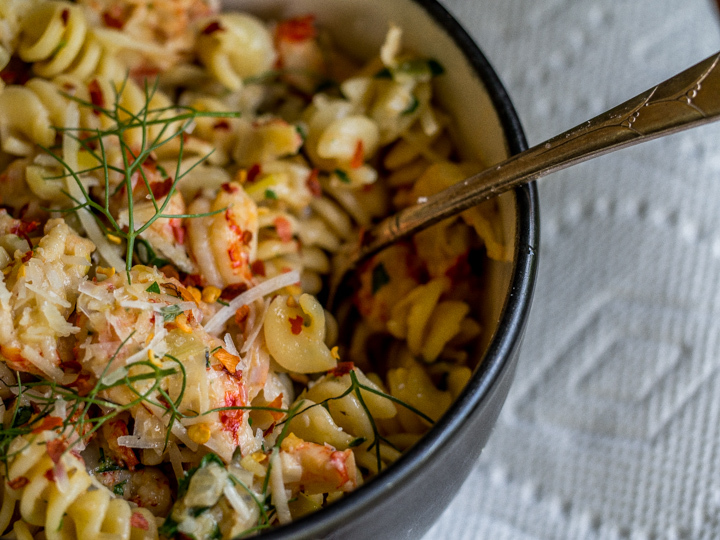 And one other thing – I like lots of crawfish so I only use half a pound of the rotini instead of the whole box, but you can always add more if you need or want to stretch it. There’s a hard part at the base that needs to be removed, the rest you just chop into small pieces so it will cook quickly. 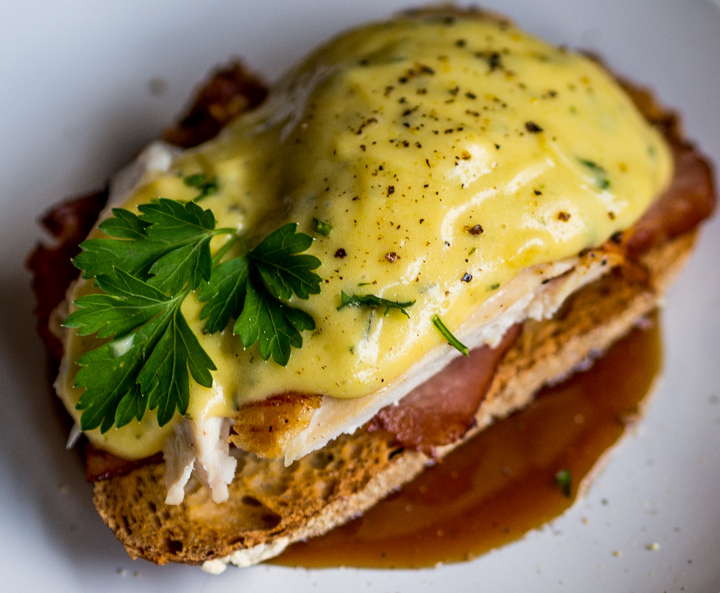 You’ll want to keep the feathery top for garnish and extra flavor. So happy listening & Crawfish Monica eating during this latest Jazz Fest season! In a large pot melt the butter and add the green onions, garlic, and fennel. 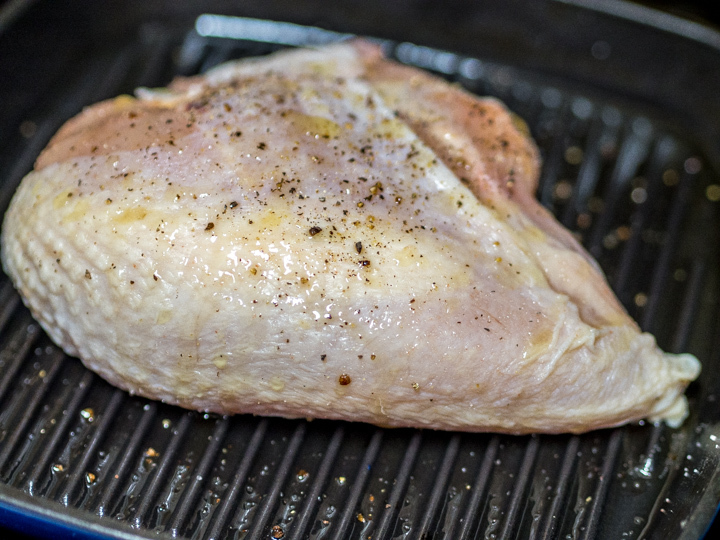 Cook over medium heat until softened but not brown, about 5 to 7 minutes. Add parsley, ground spices, salt and red pepper flakes and cream. Stir in crawfish meat with the fat and gradually add the lemon juice tasting it along the way. You may prefer a little less than ¼ cup. Once the crawfish is heated through add the cheese. Boil the rotini in salted water according to package directions, let drain for several minutes and add to the sauce. Place in serving dish or individual bowls and add reserved parsley & cheese to taste. 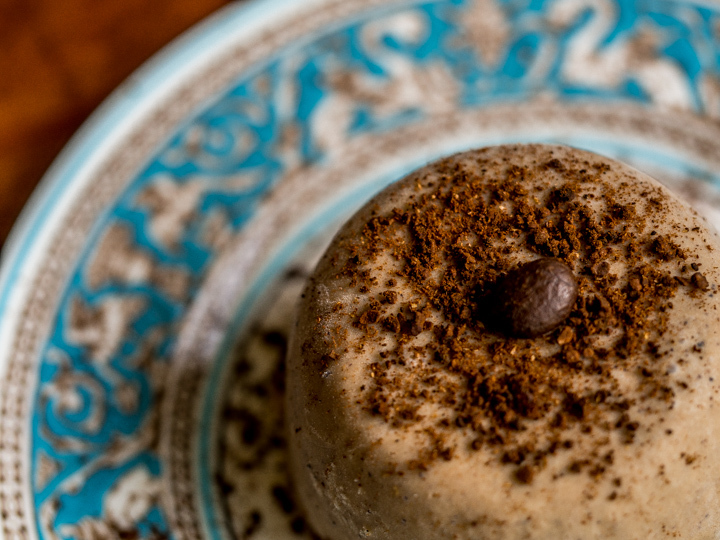 Vietnamese Coffee Ice Cream is my homage to the increasingly popular Vietnamese style coffee, also known as Cà phê dá. Coarse ground coffee dripped into creamy sweetened condensed milk and drunk hot or iced is gaining traction in a Starbucks saturated world and just in time! Louisiana, and New Orleans in particular, didn’t exactly win the Asian food lottery, at least not compared to other large American cities. With a few notable exceptions, its best offerings consisted of hangover egg rolls from the Takee Outee carts in the French Quarter. Others have Peking Duck, we have Duck Dynasty, and trust me, that dynasty ain’t Ming. However, after the Vietnam War thousands of immigrants came here after finding the climate and the warm Gulf breezes to be a good match to what they had left behind. They found a home and New Orleanians were lucky to find a new (legal) addiction. This recipe starts with dark roast coffee (and that can be coffee with chicory) and adds some south Asian heat and spice for interest. The spice is cardamom which comes in three flavors and three forms (I use it in my Key Lime Cardamom Sugar Cookie). The flavors are green, white and black and they are available in the pods, as seeds or in powdered form. Getting the seeds out of the pods requires patience and long thumbnails and I only did it once. Seeds only – referred to as “decorticated” can be bought in bottles from spice distributors like Savory Spice or in the bulk section of some grocery stores. This is what I usually use but you can substitute ground cardamom if it’s fresh. Start by grinding the coffee, cardamom and pepper together. If you don’t have a coffee grinder use a mortar & pestal to grind the cardamom and pepper then add it to the ground coffee. Put the milk, sugar and pinch of salt in a sauce pan and warm it up over a low flame just enough to melt the sugar. Take it off the heat, add the coffee and spices and let steep for at least half an hour. You’ll then pour it through a fine mesh strainer into another bowl and don’t worry if the finer grounds make it through. They’ll give the finished product a nice speckled robin’s egg look and people will not doubt that it’s really coffee ice cream. Now you’re ready to strain once again with the strainer you did not forget to rinse out after you strained the original brew a couple of paragraphs ago. Strain the custard into the coffee & milk mixture, stir well and then add the vanilla when it’s cooled a bit. Cover and put in the fridge for at least two hours, then freeze according to ice cream freezer directions. I usually just scoop it out but for this presentation I packed the soft ice cream into custard cups before putting them in the freezer. Once hardened they can be carefully immersed in hot water then inverted onto a plate and dusted with a little more coffee. If you’re doing this for a special meal make sure you stick the dessert plates in the freezer for a few minutes or your inverted masterpiece will melt faster than the Wicked Witch of the West. (I’ll spare you the original photos of the little ice cream blobs floating in a sea of sludge. Too humiliating.) 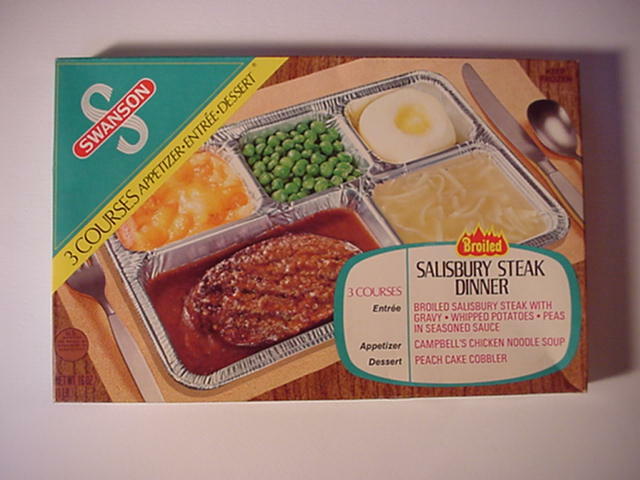 But even melted it will still taste good so get started – you won’t be disappointed. Coarsely grind the coffee beans with the peppercorns and cardamom. Heat the milk, sugar, and salt over a low flame till the sugar is dissolved. Then stir in the coffee, pepper and cardamom and let the mixture stand for 30 minutes. Strain into a large bowl. 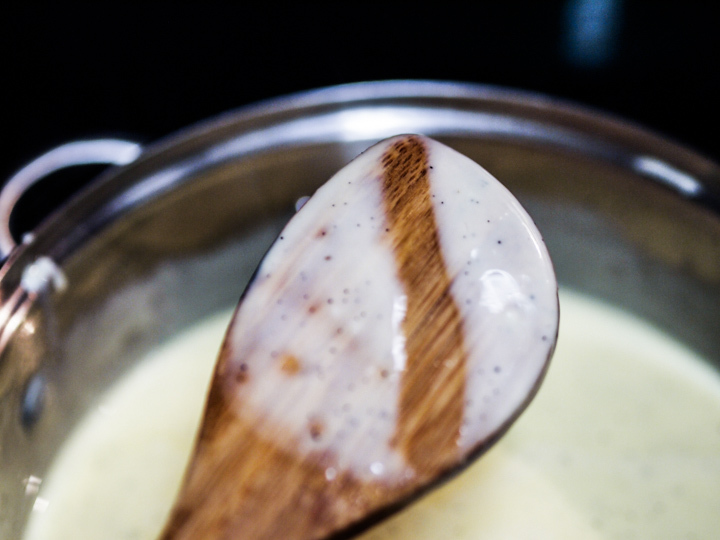 In a double boiler heat the cream till warm. In a separate bowl beat the yolks. Add some of the warm cream mixture gradually into the yolks then pour this back into the pan with the rest of the cream. Cook over a low heat till it thickens, taking care never to let it boil. When it registers 180 degrees or coats a spoon it’s done. Now strain the cooked custard into the coffee/milk mixture and add the vanilla. When it’s cooled somewhat, cover and put into the fridge till very cold. Once it is thoroughly chilled (at least a couple of hours), pour into ice cream freezer and freeze according to instructions. 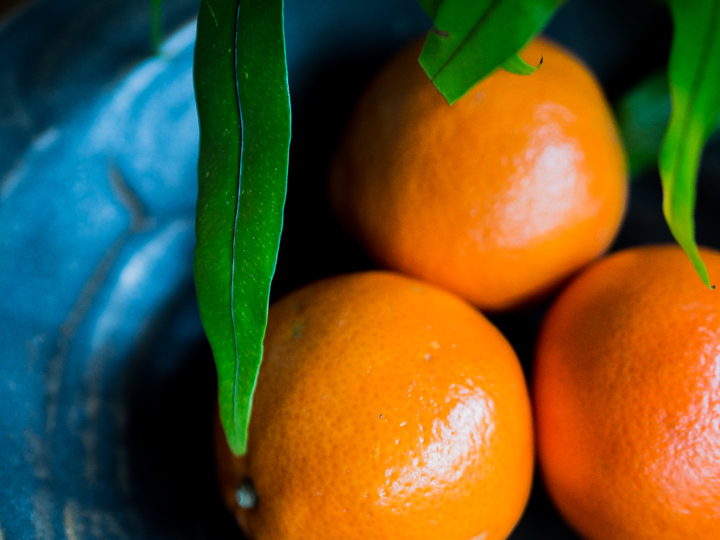 If you took a poll in Louisiana to name its favorite citrus, Satsuma would win in a landslide. Our love affair with what’s also called ‘honey citrus’ started back in the eighteenth century when Jesuits began cultivation on their property in Plaquemines Parish. 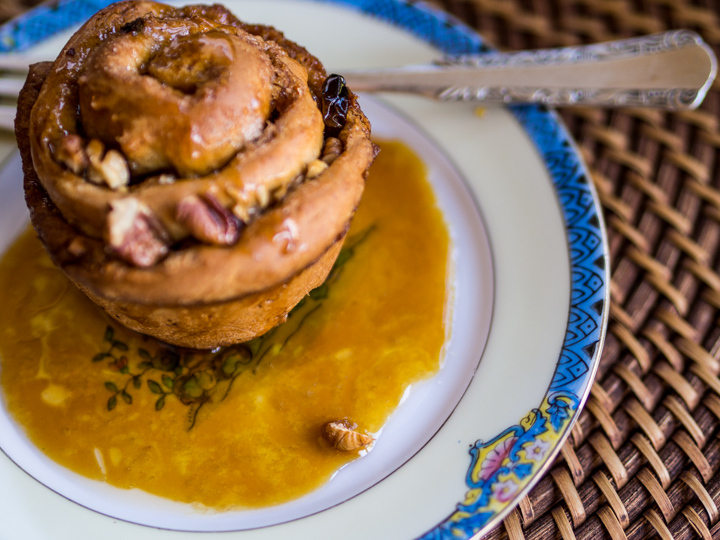 The fruits ripen just in time to be dropped into your kid’s Christmas stocking and as the season ends you should try to scoop up the last ones and use them in this piquant and less sugary version of the traditional breakfast sweet roll. First you start with some satsumas like the ones you see below. They should be soft but not too soft. There should be some give in the body but avoid the specimens that are brown & shriveled around the stem end. Next mix up the dough and let it rise in a warm place until doubled in bulk. While you’re waiting for that, mix up the glaze that you’ll be using for the tops & bottoms of the rolls. Once the dough has risen roll it out into a fairly thin rectangle, about 12 to 14 inches in length. Brush it with the melted butter then sprinkle the cinnamon/brown sugar/citrus rind evenly over the whole area. 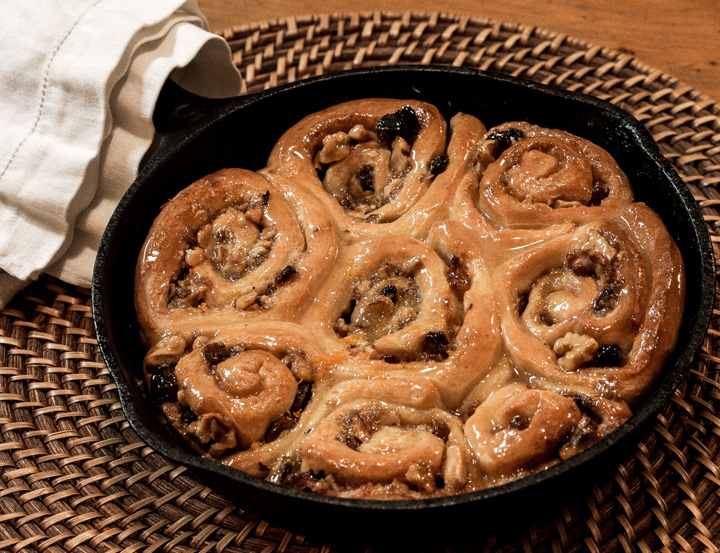 Drain any liquid from the raisins you’ve soaked and distribute them along with the nuts over the sugar mixture. Now carefully start to roll it up lengthwise as tightly as possible and pinch the edge to seal. 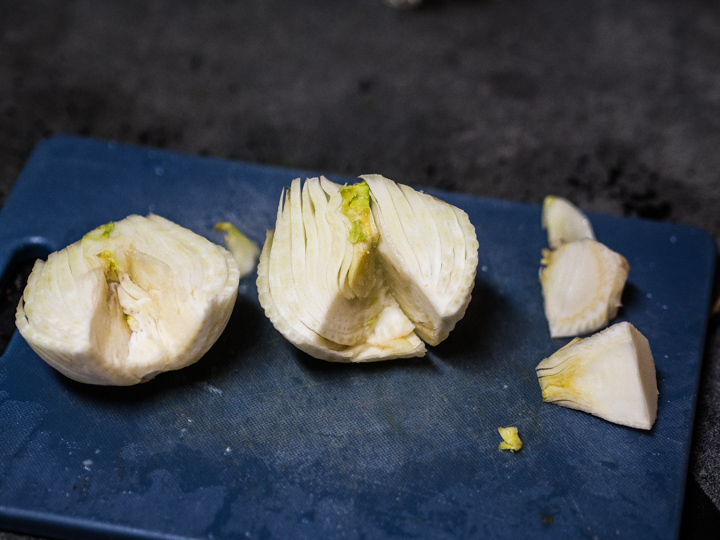 The individual rolls should be about 2 inches in width and they can be cut with an extremely sharp serrated knife or you can do what we always did growing up. Tear off about a foot of dental floss, lift up the roll, slide it under and then bring the two ends together over the roll and cut through that way. Just keep sliding and slicing till you reach the end. Waxed dental floss is great for this and I’ll bet the mint flavored kind might even add a little bite. If it’s all you’ve got why not? Once cut up place them in the pan into which you’ve spread a bit of the glaze. Leave space in between and put them in a warm place to rise. When they’ve expanded put them in the oven and bake until done. You may optionally brush some melted butter on top if you like. You’ll notice from the pictures that I put half the batch in a 9″ cast iron skillet and the rest in a cake pan. Either is fine. 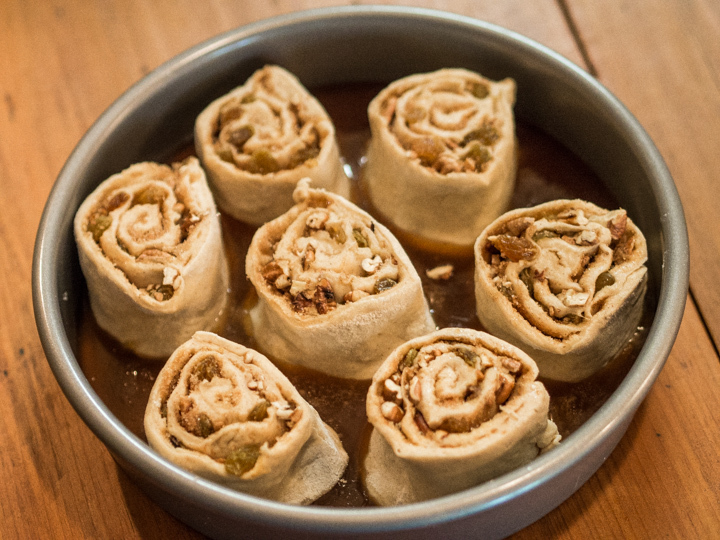 If you have a proper jelly roll pan you can line them up and do the whole recipe in one pan. However, two round pans are nice since you can easily freeze one for later or gift it to a fellow fruit lover. And one final word about the glaze. Should you be one of those people whose sweet rolls must be topped with a quarter inch of white sticky stuff go ahead and add a lot of powdered sugar to the glaze. Keep adding until it’s a nice spreadable consistency. But seriously, it’s after the holidays and you’ve probably wolfed down enough sugar to deplete the supply of an entire parish so maybe you should think about just going lite this time. Below you see the finished product with some extra glaze for swishing the broken up pieces of roll in, and don’t forget to lick the plate. Saves on dish washing! Whisk the yeast into the warm milk and let proof for 10 minutes or so. Add cooled melted butter, then whisk in egg, sugar, salt, vanilla and rum. Add nutmeg and cinnamon to flour and fold into the wet ingredients. 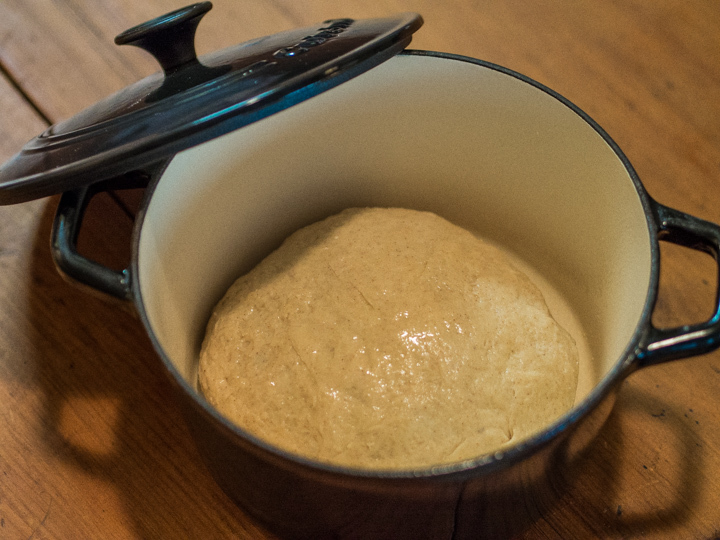 Turn out onto the counter top and knead, then put into a greased covered dish and let rise till doubled. Soak the raisins in the rum for several hours or overnight then drain. Mix cinnamon, brown sugar, satsuma zest & salt. Lightly toast the pecans in a 300 degree oven. Melt the butter and sir in the sugar and syrup until no crystals are visible. Add satsuma juice and zest. Butter the pans and put a few tablespoons of the glaze on the bottom. Place the cut rolls in the pan with space between them. Bake in a 350 degree oven until brown on top. After the rolls have cooled for a few minutes brush with the glaze. *I don't recommend using cane or sorghum syrup because they overwhelm the delicate orange flavor. **Alternate filling: ½ c. melted butter; 8 Tablespoons orange marmalade; 1 c. brown sugar; ¼ tsp salt. ***Alternate Glaze: zest of 2 oranges; powdered sugar; milk, melted butter; orange flower water. If you do make this alternate glaze just use it on top and place the rolls in a greased pan.